Here at Elizabeth Drain Service we are your clogged drain specialist. Unlike your average plumber or franchised-owned drain business, we have seen it all. 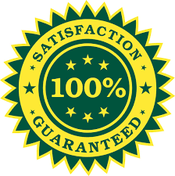 We have all the necessary tools to diagnose and fix your drain and sewer problems. We are fully equipped to help clear any blockage. Our tools are always available from small industrial snakes to heavy duty equipment needed when excavating and repairing sewer lines. Along with our other equipment, we use drain cameras to target the problem location, removing all the guessing. In addition to our “traditional” tools, we also use the latest in water jet technology, which powers away at layers of hair and grime without using harsh chemicals or large tools. Our techs are highly trained in dealing with diverse situations as well as comprehensively trained in using our many tools. In addition to repairing your drain and sewer line issues, we will advise you on preventative measures to maintain and keep your drains and sewer lines healthy. We can also offer a checklist for landlords to offer to their tenants about what to NEVER put in a toilet. It is very important that tenants understand that a toilet is not a garbage can. 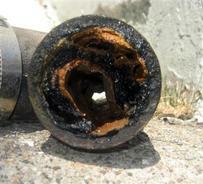 There are thousands and thousands of houses in New Jersey that have sewer mains that are over 100 years old. It is important to impress this upon your tenants - and even more important that those tenants explain these things to our visitor. It only takes one male tenant who has a girlfriend who visits for three days and doesn't know the rules to destroy a sewer main. It only takes one female tenant with a boyfriend who visits who also doesn't know the rules to do the same. Clogs become a breeding ground for bacteria which may contaminate your water and pose serious health risk for you and your household members. Water will have diffiult to drain when there's blockage in the drain or pipes. Severe cases may cause the water to travel back up and cause mess! Stagnant water and dried up pipes caused by clog can release a bad odor into your home. When there's a blockage, the water will find its was out somewhere. This often times lead to leaks in the pipes.